Today as expected Mozilla Firefox 3.6 has been released and is “20% faster”. I’ve ran the Acid 3 test and scores 92/100 so is getting better with every release. I would expect when version 4 is released it would finally pass the Acid 3 test. Below are some of the new features. This entry was posted in Technology News on 11 February 2010 by Steven. Microsoft has made the Beta of Office 2010 available today, this comes after the release on TechNet and MSDN the other day. Over on Neowin they have had a look at some of the new features, these include social networking integration and smart pasting options. This entry was posted in Office, Technology News on 18 November 2009 by Steven. The 2nd Beta of the Office 2010 suite appeared on TechNet and MSDN last night. Neowin.net is reporting that the public beta could be available this week after a tweet on the Office Twitter account, there is also a follow up post hints at possible social network integration in Outlook. This sounds interesting but I fail to see the point at present. Those that have TechNet Plus and MSDN subscriptions feel free to download it now and have a play. This entry was posted in Office, Technology News on 17 November 2009 by Steven. Tom Warren of Neowin.net is reporting that thousands of passwords have been posted by an anonymous user of Pastebin.com on October 1st, a site commonly used to share source code. The accounts may have been collected by a phishing scam or had been hacked. Though the details has since been removed the number of effected accounts totalled 10,027. The effected accounts started with the letters A and B but Neowin is advising users to change their passwords and security questions regardless. This entry was posted in Technology News, Windows Live on 5 October 2009 by Steven. At last the long awaited replacement for the discontinued Windows OneCare suite. 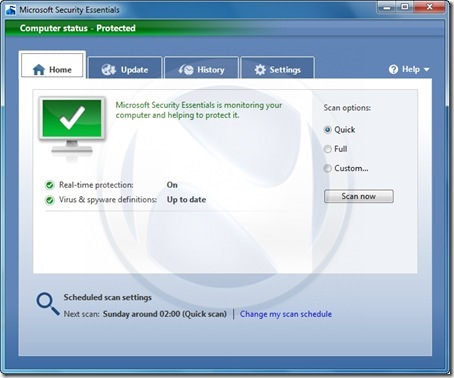 Microsoft Security Essentials is Microsoft’s free anti-virus and anti-spyware solution. It is aimed at home users and small businesses and will be available for Genuine Windows XP, Vista and Windows 7 users and will be available in 32bit and 64bit editions for Vista and 7. This entry was posted in Technology News, Windows on 29 September 2009 by Steven. The ability to provide Location Aware Browsing using web standards for geolocation. This entry was posted in Technology News on 30 June 2009 by Steven. 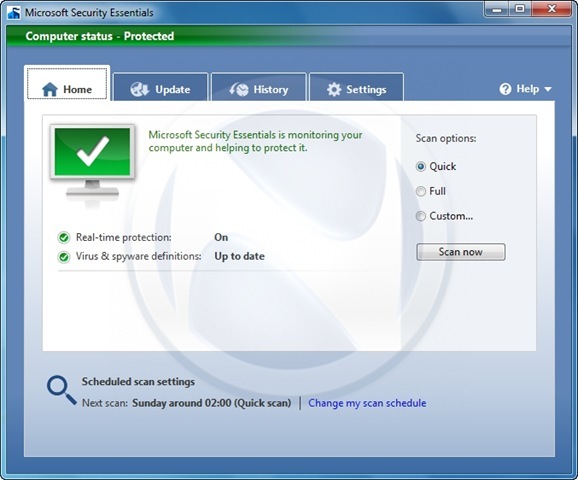 According to Neowin.net the successor to Windows Live OneCare known as Microsoft Security Essentials (MSE) is due to hit Beta form next week starting on June 23rd. The free anti-virus / anti-spyware solution will begin with a limited beta and will release an updated build over the Summer. Microsoft is initially targeting the first 75,000 US, Israel and Brazil based customers with a Chinese Beta available in mid-July. Neowin have also learned that Microsoft is targeting September or at the latest to have the anti-virus software available for the October 22 Windows 7 launch. Similar to the Windows 7 beta it is likely the company will expand the offering to meet demand. Below is a screenshot of the MSE Beta. This entry was posted in Technology News on 18 June 2009 by Steven. The country of Iran recently held elections that many are saying were rigged and that their votes did not count. The current winner and previous term president, Mahmoud Ahmadinejad, who acts more as a dictator than a freely elected politician has been brought to Internet justice with the photoshopped picture below. 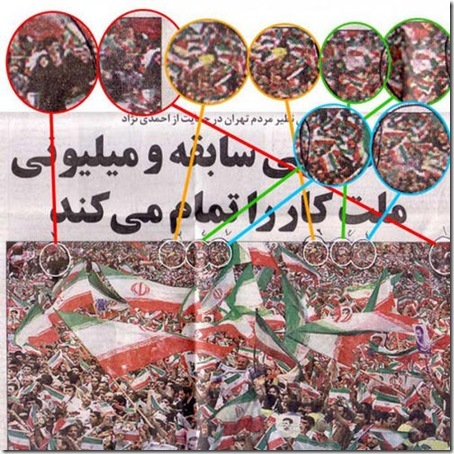 What you clearly see is that someone in Ahmadinejad’s regime altered the picture below to make a crowd supporting the outcome look much larger thus showing greater support for his following. This is not the first time Ahmadinejad has been caught Photoshopping either. In July of 2008 a missile test in Iran was Photoshopped to show that four missiles were successfully launched when it was actually three or possibly two missiles. It’s a sad state of affairs for Iran that it must go to these lengths to try and persuade the world that this was a true election. Despite the fact that millions of votes were supposedly counted in two hours and a fake photo showing support of the "winner" are signs of forgery the people of Iran are the ones who lost the most. This entry was posted in Technology News on 17 June 2009 by Steven. About three million homes in the UK have broadband speeds of less than two megabits per second (2Mbps) according to research commissioned by the BBC. The government has promised to provide all homes in the UK with speeds of at least 2Mbps by 2012. The research revealed that so-called notspots are not limited to rural communities, with many in suburban areas and even streets in major towns. The government has pledged a range of technologies to fill the gaps. "We had assumed that these notspots were in remote parts of the countryside. That may be where the most vocal campaigners are but there is a high incidence of them in commuter belts," said Alex Salter, co-founder of broadband website SamKnows. The SamKnows map offers an insight into where the homes are that the government needs to reach out to and connect to faster broadband. It was created by comparing a sample of UK postcodes with a database of information about which providers offered services in the 5,500 telephone exchanges around the UK. By working out how far properties were from a particular exchange, a picture of the speed of services can be determined as line length is a crucial factor in determining how fast broadband services will operate. To get speeds of 2Mbps or more homes need to be 4km or less from an exchange. This entry was posted in Technology News on 27 May 2009 by Steven. According to an article by the BBC, the UK Government has announced that it will be supporting plans meaning everyone in the UK will have access to at least 2Mbps broadband, by 2012. The plans, proposed by Lord Carter earlier in the year, have been backed by the government. The chancellor of the Exchequer, Alistair Darling, said "I am allocating extra funding for digital investment, to help to extend the broadband network to almost every community." The extra funding was announced as part of the new budget for the UK today. Money not spent from the BBC Digital Switch-over scheme may be used to partially pay for the service. Part of the cost of making the service more widely available may be pushed over to Internet Service Providers. There has been much debate about broadband availability in the UK recently, with various different plans announced. Some argue that money should be spent on making broadband widely available, whilst others argue the money should be spent on making the already existing broadband faster, in order to keep up with other countries. This entry was posted in Technology News on 23 April 2009 by Steven.